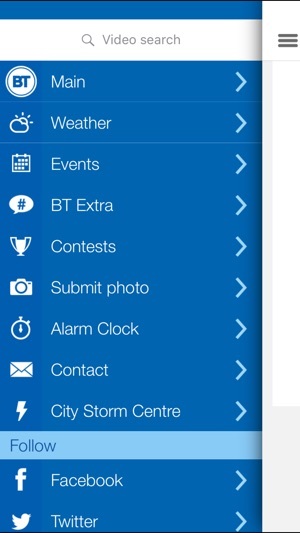 Take City's Breakfast Television with you, wherever and whenever with the Breakfast Television app for iPhone. 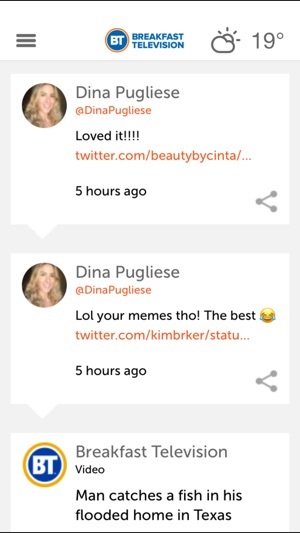 This app will do everything from wake you up in the morning, allow you to watch the live show on your phone, give you the latest weather forecast or let you catch up on all the best videos from today’s trending topics! 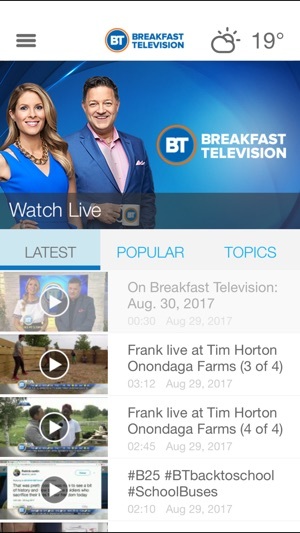 It is simple, just select your city once you have downloaded the app to get your favourite local Breakfast Television morning show on your phone! I think allowing dogs on patios is absolutely OK.